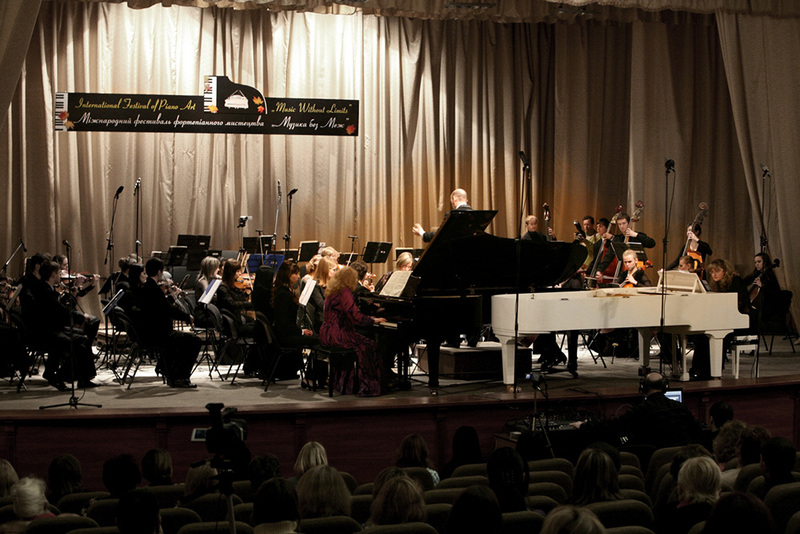 Professor of the Piano Chamber of the S.Prokofiev Donetsk State Music Academy. She received education in the Kiev State Conservatory (prof. V.Sahaydachniy) and finished post-graduate course in the Novosibirsk Conservatory (prof. B.Slonim). She passed professional training courses at the Moscow State Conservatory (prof. D.Bashkirov). From 1992 to 1996 she studied at the Kiev Music Academy, specialty “Organ"(prof. O.Dmitrenko). She is a winner of youth competitions in Germany, laureate of the Republican (National) competition of chamber artists (Khmelnitsky, Ukraine), Grand Prix of Kiev Charity Festival «REGINA-VLADIMIR HOROVITZ in Memoriam» (Ukraine). Natalia Chesnokova successfully performs as a pianist, soloist, organist-soloist and ensemble player. During the period of her concert activity she has given over 300 concerts. Natalia Chesnokova is a jury member of Ukrainian and international competitions and festivals. Since 1976 Natalia Chesnokova has been working as a professor.